Chatting Over Chocolate: Magical Monday #12: Mickey Mouse Inspired Healthy Snacktime Fun! 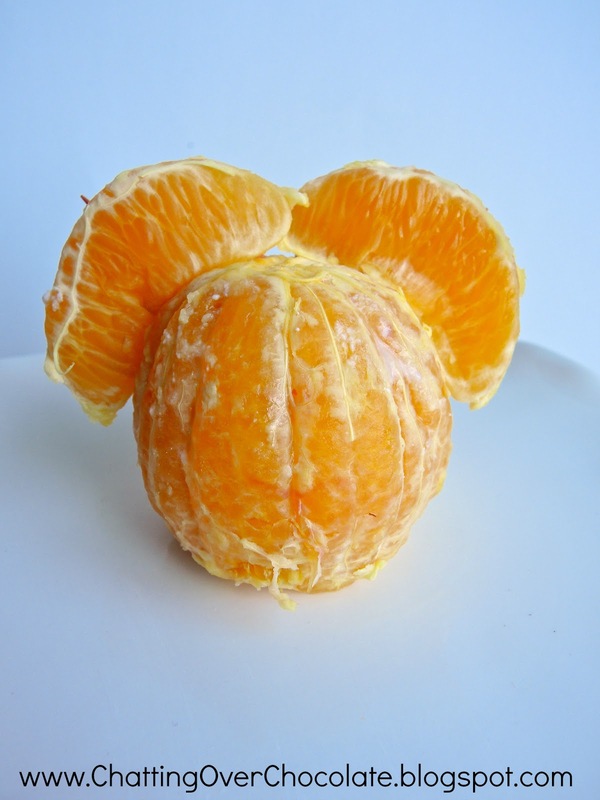 Magical Monday #12: Mickey Mouse Inspired Healthy Snacktime Fun! This Magical Monday I'd like to share a Mickey Mouse inspired REAL Fruit Snack that's so fun to make and delicious to eat that your kids just may forget how healthy it is! Cut a small slice from the bottom of an orange to allow it to stand upright. 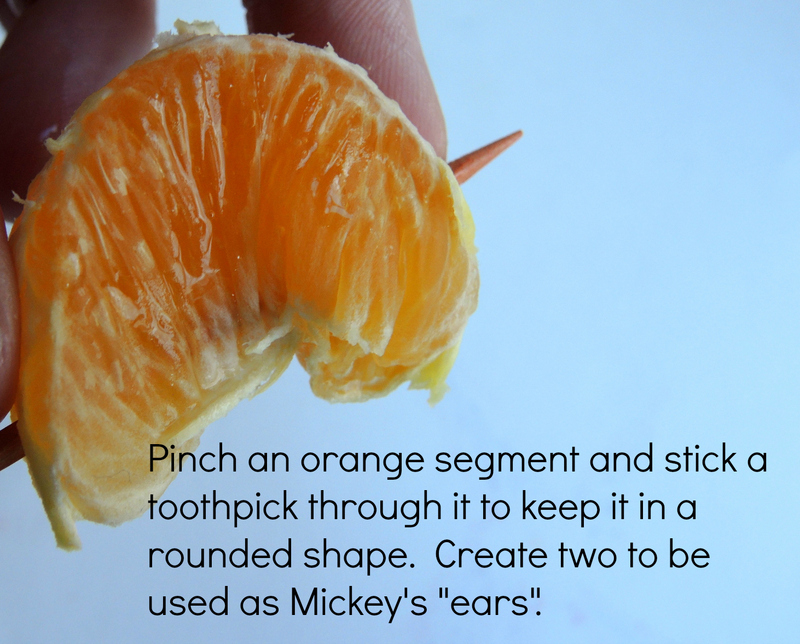 Use toothpicks to attach orange segment Mickey "ears" to the orange. Slice the bottom of a strawberry in a "V" shape to create Mickey's "mouth", attach with toothpick. 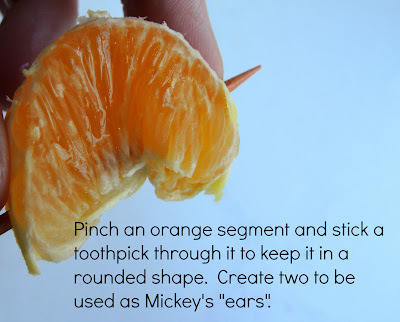 Turn a grape lengthwise to create a horizontal oval shaped "nose", attach to middle of the orange with a toothpick. 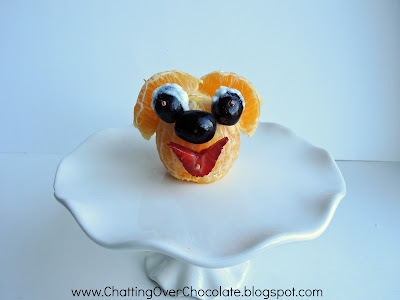 Dip two grapes in yogurt to create the white of Mickey's "eyes", then use toothpicks to attach each. *You can cut toothpicks in half if any part of them is sticking out more than you'd like. 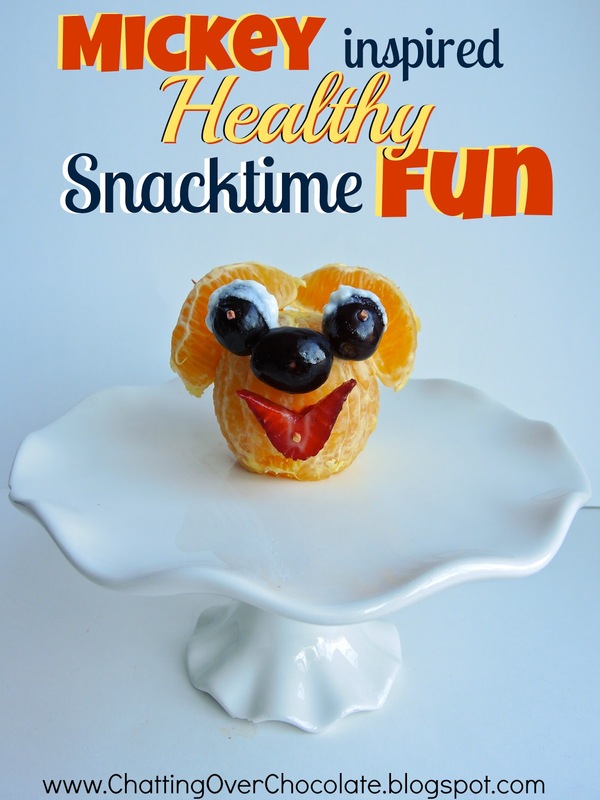 ENJOY creating this fun snack ...and the orange juice dripping smiles that will surely follow! Oh my gosh, how CUTE! What a fun idea!! My pleasure, Lynaea! ;) Thanks for the sweet comment!! So cute!! I love Mickey!!! So cute! 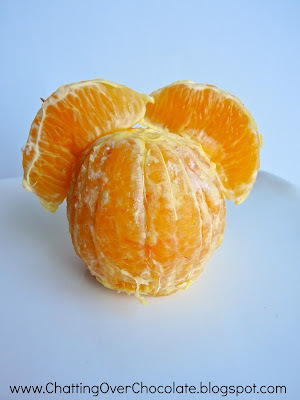 We are going to Disneyland this week & these are a way healthier snack than what we are taking. Thanks for sharing at Sweet & Savory Saturdays #9.